I’m a member of AMC Insiders which means I occasionally complete surveys about ideas they’re bouncing around in the corporate offices of AMC Theatres. One of the recent surveys I completed included questions to gauge my interest in several potential services they could offer while you watched movies. Some of the ideas they asked about included pet grooming and having your car washed/detailed. While I applaud their creative thinking, they are missing services that don’t require focus groups or surveys – just a little common sense. There are several steps they could take that would enhance the movie-going experience and increase revenue that don’t require a theater full of dogs and cats. Step 1. Remove barriers to movie attendance. My wife and I found a sitter for our three kids and went to see the new X-Men movie. We refuse to be the people that take their 2 year old with them while they see X-Men: First Class at the Fork & Screen. Our fun night out was disturbed when that 2 year old started screaming. Did the couple remove the child from the theater? Of course not. They let him cry for awhile until he finally stopped. If AMC wants to improve the moviegoing experience and get additional people to attend, they should take a page from gyms, community centers and even churches by offering an on-site daycare. The biggest barrier my friends and I have to enjoying a night out is finding quality, affordable daycare. For a minimal charge (and an AMC Stubs Membership; see this post) AMC can offer to have certified childcare providers watch your kids. Put the kids in a playroom, purchase the rights to show some G rated movies, add in some snacks and you’re good to go. Give the parents a pager in case anything happens with their kids so they can discreetly leave their movie. It’s a win-win. The parents can enjoy PG-13 and higher rated movies knowing their kids are safe and other moviegoers don’t have to be distracted by a child that shouldn’t be in the theater in the first place. Step 2. Create new programming streams. I’m more than a little surprised AMC hasn’t worked out a partnership with ESPN yet to display 3D sports content. AMC has such a competitive advantage right now with three key areas already in place: food, alcohol and equipment. 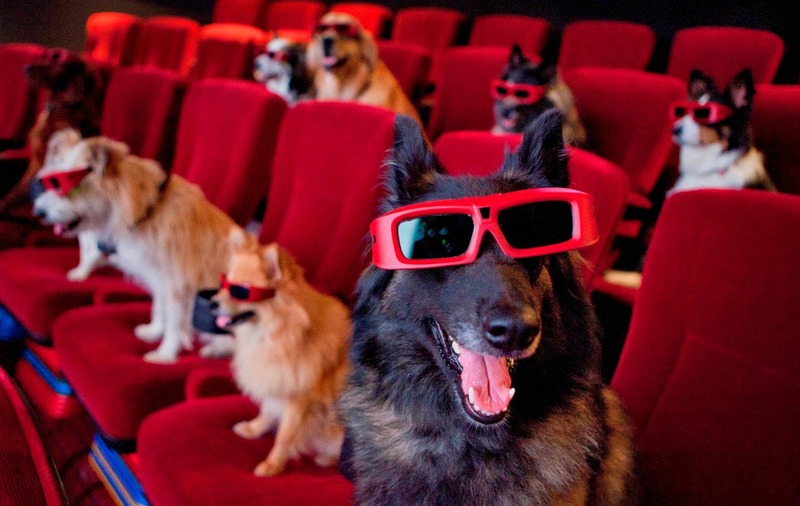 Their theaters are already equipped to show 3D content. Neighborhood sports bars aren’t going to be willing to make the financial investment necessary to upgrade their equipment to offer games in 3D. AMC needs to jump on this opportunity before it’s too late. Here’s the thing, they shouldn’t charge for the game. Let people come in and experience the games for free and make money off of the food and beverage. I don’t think the average person will be willing to fork out $16 to go watch a game in 3D…the technology is too new. Target the sports bar crowd and offer a comparable experience. Make going to the theater as natural as going to the bar and you’ll find they’re more likely to come back for movies as well as sporting events. Step 3. Please exit through the gift shop. When you think about AMC Theatres, it’s doubtful you would naturally put them in the same category as major league sporting events or amusement parks but these are indeed their competitors. They compete to get a share of your out-of-home entertainment wallet. What those other venues offer that AMC does not is merchandising. When we went to DisneyWorld last year, it wasn’t by chance that almost every ride had us exit through a gift shop. The same holds true with any sporting event you attend. The concourses are lined not only with concessions but also with merchandise booths. If AMC would like to boost their bottom line, a couple of booths set-up to sell the latest movie merchandise wouldn’t be a bad thing. Why not capitalize on the latest new releases with some Green Lantern, Cars 2 and Captain America t-shirts? It’s a safe bet that people will be lining up for the last Harry Potter movie hours before the start time. Take advantage of that fact with a cart branded like Olivander’s Wand Shop and sell wands and other merchandise up and down the line. At a minimum, they should create some pop-up stores for the holidays and take advantage of people looking for unique, movie-themed gift ideas. AMC should be about entertainment – movies, music and sports. All it takes is three simple steps and AMC will have found a great way to extend their brand and increase revenue. Best of all, it doesn’t require coordinating a lobby full of dog and cats. I appreciate your idea about an in-house daycare. In order for parents to utilize the service, they must show the ticket for the movie they are going to. The daycare entrance needs to be on the outside of the concession stands so that people don’t have to buy a ticket for their child to get in. Then their children are signed in and expected to be picked up roughly 2 hours later. (Depending on the movie length). Great idea!! I would also appreciate it if AMC would offer a to-go cup for folks who participate at Fork & Screen. After paying $3.50 for a soda, and then only getting 1 refill, I think this would be a little something extra (at low expense), that would bring me back more often! 1. Reduce the ticket price. 2. Let the viewer walk out of a crappy movie and watch another. With so many crappy movies with flood marketing, it just doesn’t seem worth it to go the theaters anymore. $24 for two tickets + $10 for junk food + a crappy movie? As much as I love the theater experience, no, thanks, I would rather watch it on NetFlix with a healthy meal in the comfort of my home. There was a really good article by Mark Harris in the June 24th issue of Entertainment Weekly about how the only thing 3D has done is let theaters jack up the ticket prices. However, I disagree with your second point. If you don’t like a movie, it’s not the theater’s fault. When you buy a ticket, it’s for a specific movie…not for a movie you’re guaranteed to enjoy. You are right. It is not the theater’s fault. But this is not about fault at all. It is about bringing the consumer into the theater in the first place. No matter whose fault it is, if there is a fault at all, the theater is still losing customers. I have seen most of the shows run half full. So what do they lose if they let somebody go to another show? It could be just an incentive for the customer to take the bait. Your comment about staying home to watch Netflix made me think of an interesting concept AMC could test in one of their markets. What if they offered a membership (I’ll call it MovieWatcher since that’s no longer around) for unlimited movies for $10/month? Your MovieWatcher membership would allow you to watch any movie you wanted except for the first week of a new release. There wouldn’t be any rewards earned like with the Stubs program – but you get unlimited movies. The questions are: Can they earn enough on concessions to counter the “lost” ticket revenue? Will it drive people who normally wouldn’t go to movies to attend more frequently and spend more on each visit? Could it end up like a gym membership where you pay each month but only rarely go? How do you factor each visit for box office revenue?